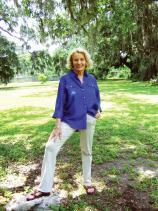 Ellen Gilchrist, winner of the National Book Award for VICTORY OVER JAPAN, is the author of more than 20 books, including novels, short stories, poetry and a memoir. She lives in Fayetteville, Arkansas. Ellen Gilchrist’s first collection of short stories since 2005 consists of 10 pieces that take place in the American South, mainly in Arkansas, Mississippi and Louisiana. Her characters are good-hearted Southerners, many of them wealthy, who are forced to confront life’s toughest challenges --- from natural disasters to terrorist threats to multiple sclerosis and untimely death --- and who emerge from each experience with a renewed belief in the goodness of human nature.